In her poem, “Human Cylinders,” Loy muses, “Absence of corresponding between the verbal sensory//And reciprocity//Of conception//And expression//Where each extrudes beyond the tangible//One thin pale trail of speculation,” presciently predicts the latency of form, materiality, concept and temporality that abstraction has grappled with since its beginnings. Catch It & Lose It ruminates on the relationship between two distinct groups of abstraction. The first exemplifies abstraction as a constructed language determined by painting’s conceptual and performative girding: works which “catch it.” The second selection details the release of agency from the artist and structured the clarity of language to an amorphous transcription of meditation: works which “lose it.” This is not to say that either camp provides a straightforward answer to questions posed about the significance or intent of abstract painting, but rather one that exemplifies the complexity of suchthe syntactical compositions. 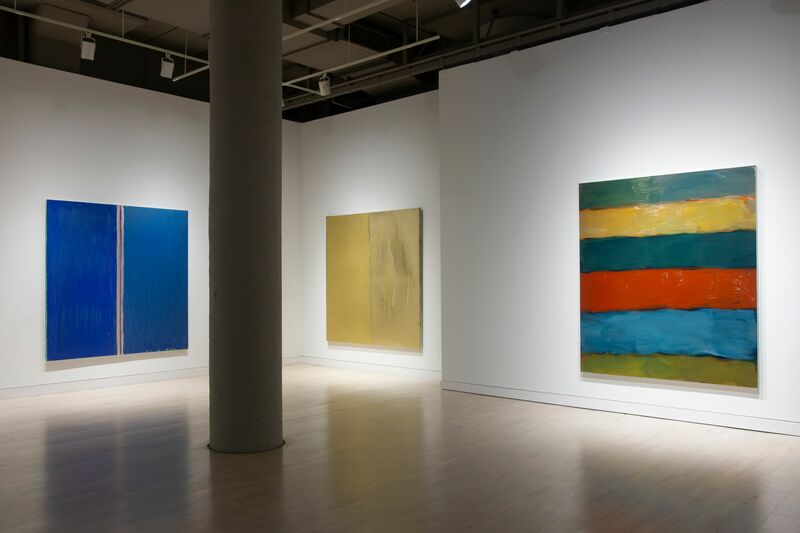 The works of Pat Steir, Bernard Frize, Lee Ufan, and Warren Rohrer resonate with each artist’s careful calculations, machinations which deliver them to a plane of abstraction beyond the visual and conceptual realm. 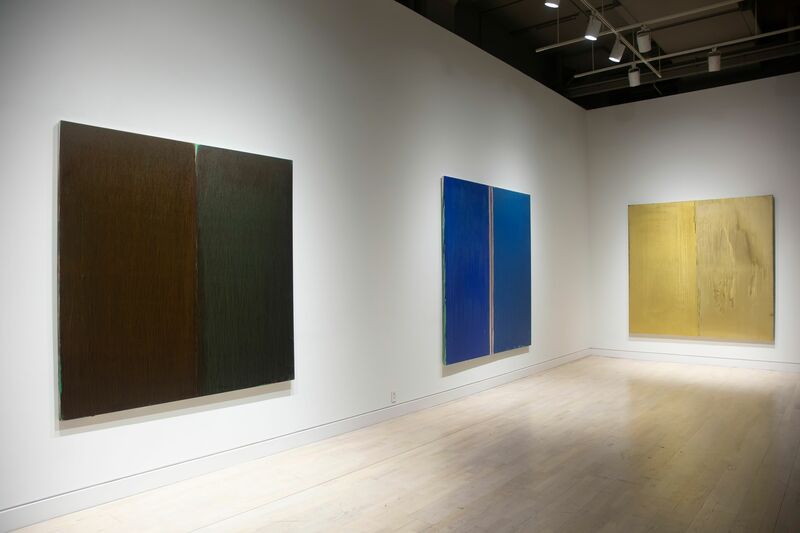 The works of Pat Steir are understood as alchemic reactions in which the distillation of the artist’s agency, the medium’s materiality, and physical forces of nature intermingle to produce an arcane vocabulary of drips and splatters which might harbor the formula for the prima materia. Similarly, Bernard Frize’s robust oeuvre of mutable styles and highly orchestrated compositions exemplify the natural emergence of a new visual language through a symbiotic marriage between careful invention and welcome disruption. These works cultivate a complex linguistic structure and then fracture them, breaking them down to their purest form through meticulous strokes and organized exchange with their material environment. 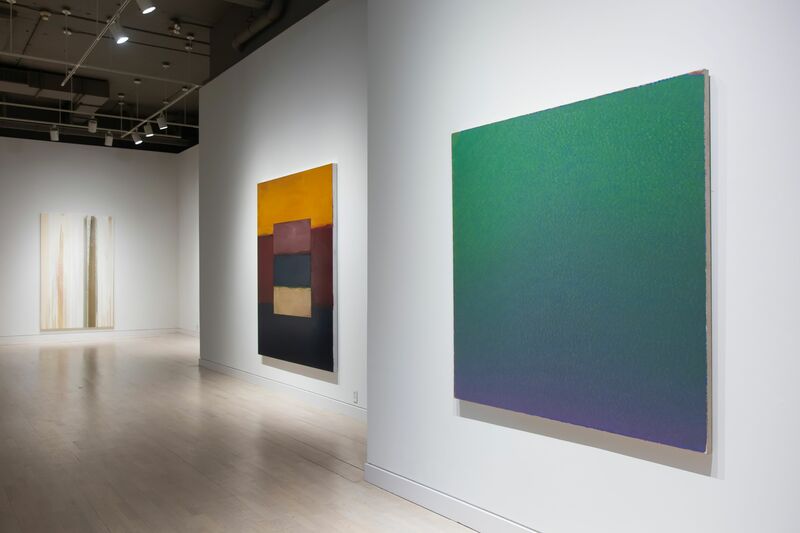 In contrast, works by Sean Scully, Sadie Benning, Liliane Tomasko and John Armleder illustrate a rigorous adherence to the formal quality of their abstraction, catching the essence of their linguistic motivation and solidifying it on the canvas. 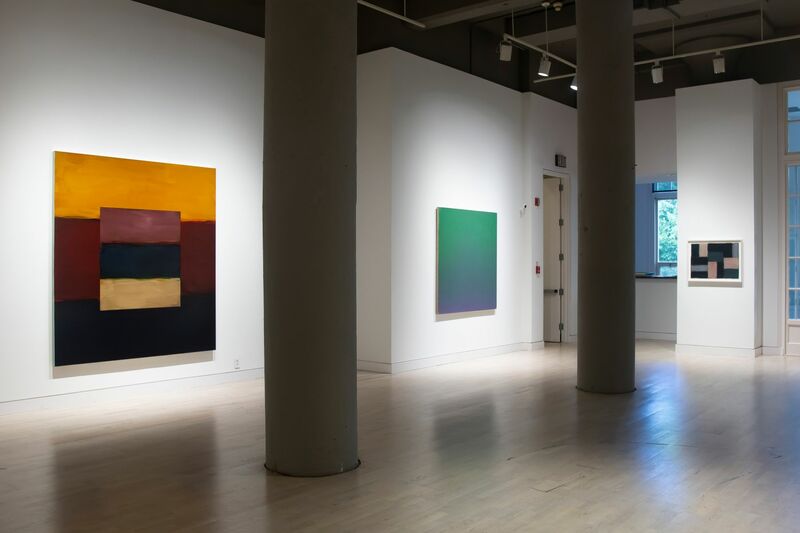 For Sean Scully, simplified compositions of banded pigments are the result of years spent investigating light, color and form, breaking down those components and reorganizing them through deliberate, sensual strokes. John Armleder’s practice developed out of the Ecart Group and Fluxus movements, shaping a language that is unclassifiable and transformative. His dynamic style reflects on the artistic ennui of his generation, reinterpreting trends and styles reflexively and critically. 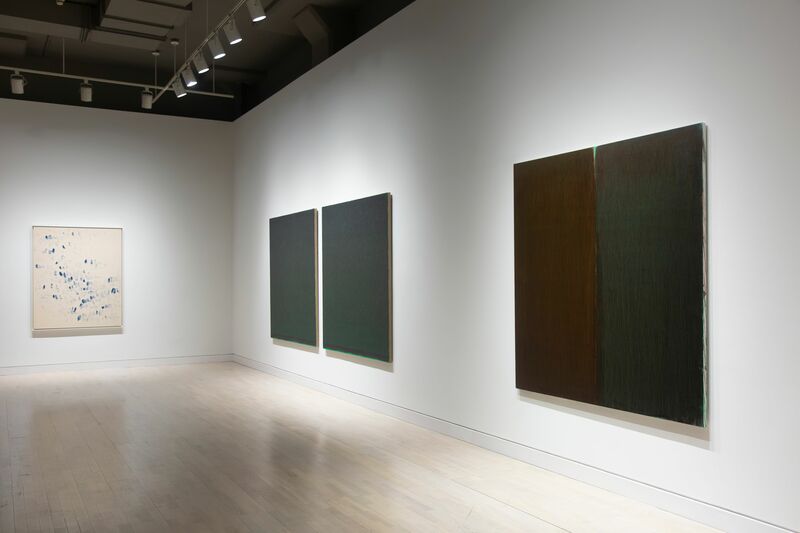 These works are translations, ones which catch amorphous emotions and memories before relaying them through the artist’s unique syntactical formula. 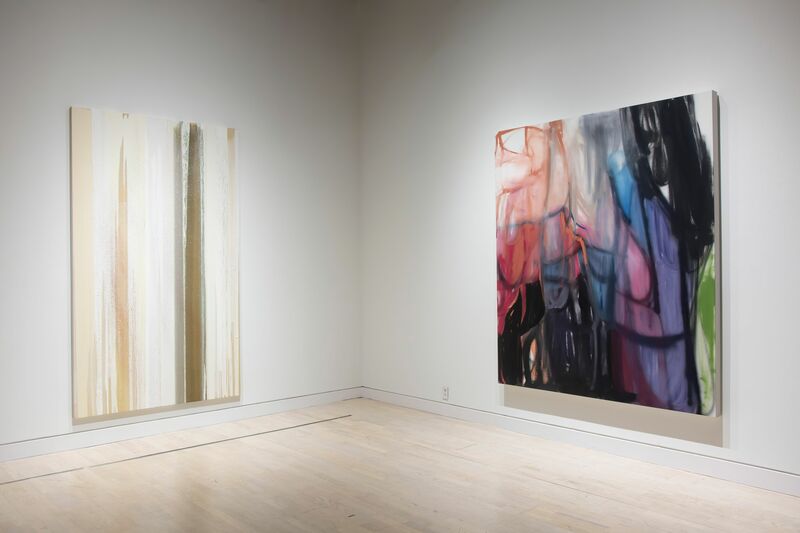 Catch It & Lose It hosts these languages in common forum, allowing them to reverberate and intermingle in a cacophony that portrays the possibilities of form, style, and concept that emerge from these abstract pursuits. The exhibition will open on October 5, 2018 and run until November 24th. There will be an opening reception on Friday, October 5th from 5 – 7pm that will be free and open to the public.